The President of the Republic of Liberia, H. E. Dr. George Manneh Weah has congratulated the Government and People of the Republic of Poland on the observance of Poland’sIndependence Day. The Republic of Poland will commemorate its Independence Anniversary on Sunday, November 11, 2018. Polandgained its Independence in 1918 from the German, Austrian and Russian Empires. 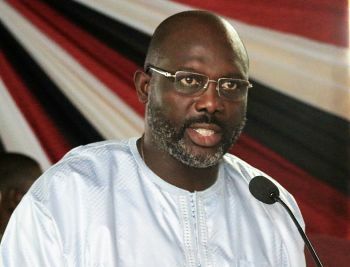 According to a Foreign Ministry release, President George Manneh Weah, on behalf of Liberia, extended heartfelt congratulations and best wishes to His Excellency Andrzej Duda, President of the Republic of Poland, and through Him, to the Government and people of Poland as they celebrate this historic event. President George Manneh Weah further described Poland as an important partner that his government desires to strengthen ties with especially in the areas of education, agriculture, trade, science and technology. He expressed hope that Liberia and Poland will work together for the advancement of women’s rights and empowerment, as well as youth exchanges and sports. The Liberian President then wished for President Andrzej Duda personal well-being and for the continued prosperity of the Government and people of Poland.